Update 29 July 2016: Resorts World Genting: we are aware that you might be coming up here next week to experience our new Awana Skyway and the #FreeRides promotion. We are as excited as you and we are ready to operate! However, due to some final regulatory approvals, the opening will be delayed to a later time. In the meantime, the current Genting Skyway will still continue to operate until we announce the new launch dates. The #FreeRides offer will still stand when we officially launch the new attraction. Stay tuned to our fan page for further announcements. Thank you for your patience and we hope to see you soon. Hey fans, we've good news for you! Are you excited just like us? 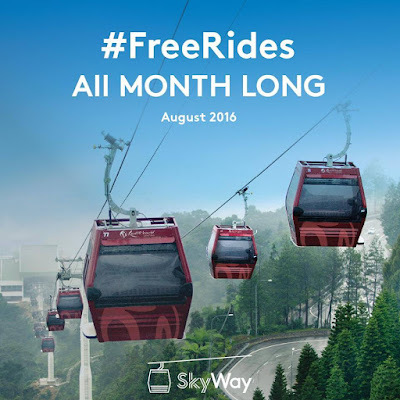 Enjoy unlimited complimentary rides this August In conjunction with the new Awana Skyway opening, we will be offering complimentary rides for the month of August. Enjoy the ride with our sensational new gondolas and if you’re lucky, you might just get one with the popular glass floor. Enjoy the crisp mountain air as you make your way up to Resorts World Genting on the new Awana Skyway. It takes just 10 minutes to get from Awana Station to the final stop, Sky Avenue Station. For a more spectacular experience, why not try the glass-floor gondola? You’ll get a breath-taking view of the 130-million-year-old rainforest below. And the good news is if your mobile phone goes flat from taking photos of the stunning scenery, you can even charge it on the gondola! Awana Skyway will operate 7 days per week from 7:00am until midnight. Where can people purchase a ticket? At Awana Station and Sky Avenue Station. 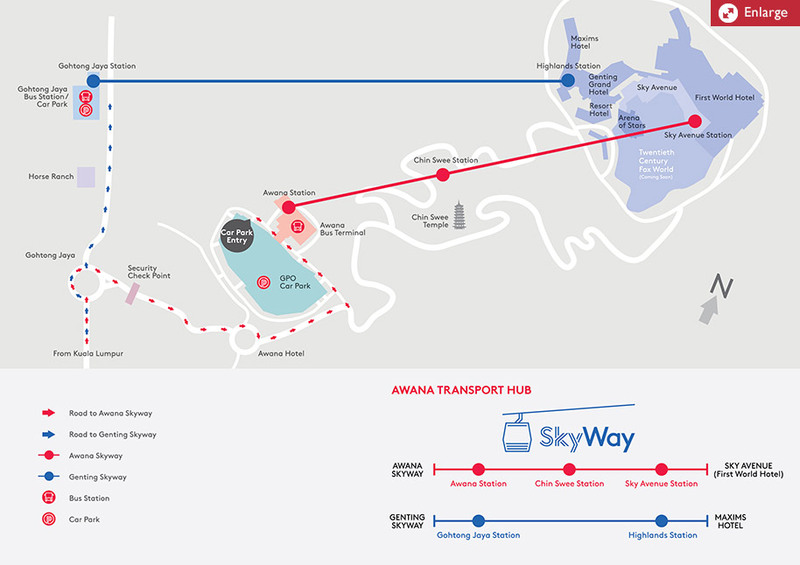 How can I get to Awana Skyway from Sky Avenue? Sky Avenue Station is located on the fourth floor of Sky Avenue and there are directional and Wayfinding signages to guide visitors/passengers to the Awana Skyway cable car station. How can visitors get to Awana Skyway from Awana Bus Terminal? Awana Skyway is located at Level 2 at Awana Bus Terminal and there are directional and Wayfinding signages to guide visitors/passengers to the cable car station. Can people take luggage on the gondolas? Passengers can take along one aircraft cabin size bag per passenger on the gondola. Oversized baggage can be stored at the Baggage Service Counter located at Ground Floor of the Awana Bus Terminal for RM5 per baggage for 24 hours.